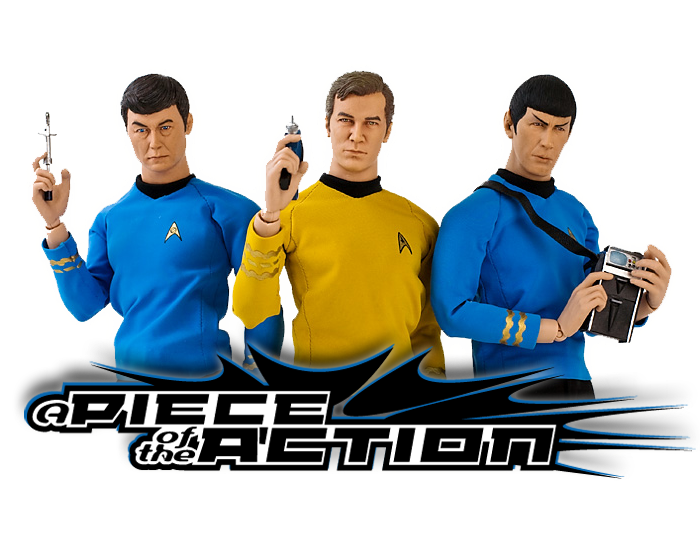 The Rundown: In case you're new to my blog, here's a little background on this line- A few years back, Sci Fi Metropolis (a company that makes collectible 1/6th scale figures of entertainment properties such as "Lost In Space") began work on a high-end Star Trek 12" figure line. 8 figures were prototyped before Diamond Select Toys made plans with CBS for their 1/4th scale line, effectively killing the SFM line. 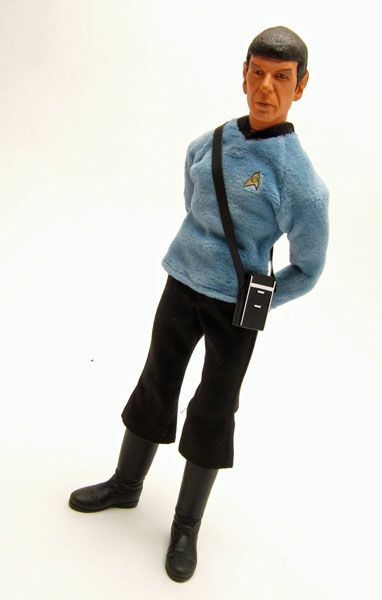 It's a real shame because instead of what would have been a really nice 1/6th scale Trek line, we got the "Ultimate" Quarter Scale figures from DST (which I'm not a big fan of and I've been putting off spotlighting for awhile now, but I will post them eventually). 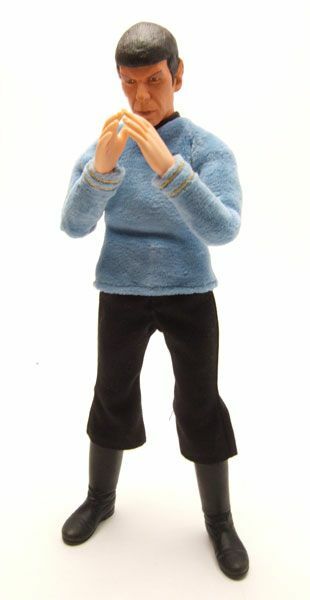 This Spock was one of the original 8 figures for the line. Spock was an obvious choice for the line since you can't have Classic Trek without Spock. It's like making pizza without the cheese...and I love cheese. The SFM 12" body is really nice, with a pretty excellent range of movement. 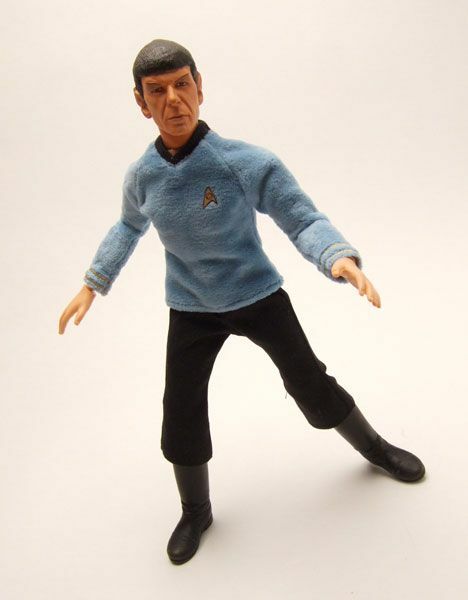 You can alter the body's height by pulling down on the arms and legs, which is perfect for taller, lankier characters like Spock. 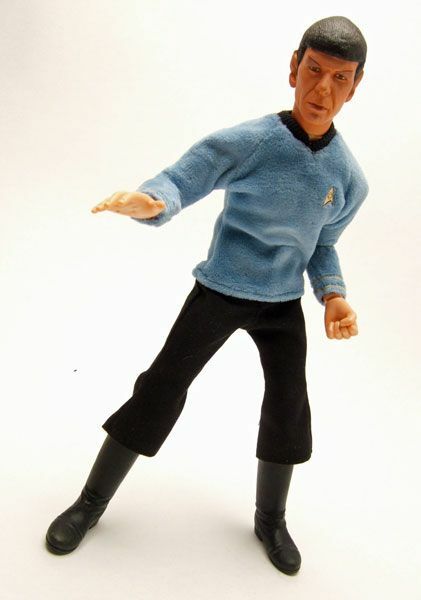 I think all the SFM Trek heads are great, but I think Spock here is my fav of the bunch. 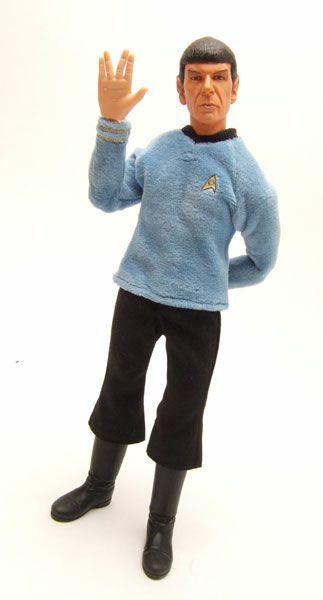 It's an excellent Nimoy likeness. 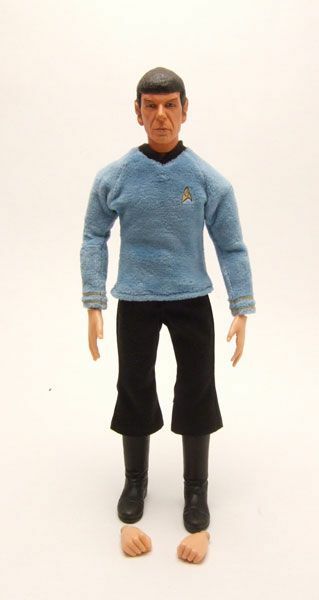 Spock may be just a tad too tan here, but this is a hand painted prototype and I think the production version would have been a shade lighter. 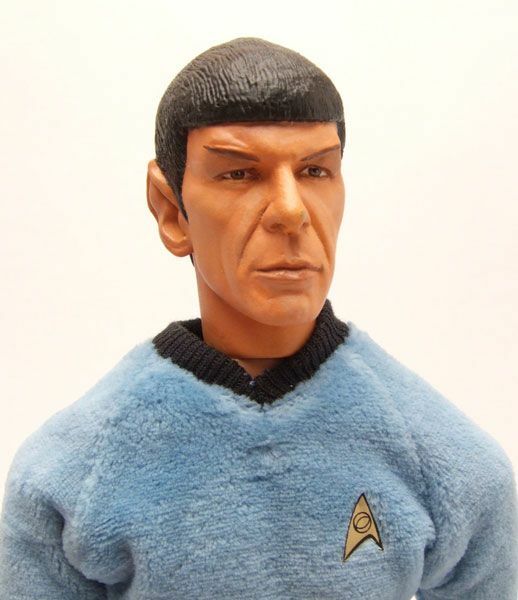 Still, even with the slightly tan skin, this is one of the best Spock heads out there. Okay, the shirt. Yeah, it's kinda fuzzy. but again, this is a prototype and we really have no idea how the final product would have looked. I can see that they were at least trying to be as accurate as possible by attempting to replicate the Season 1 shirt look. It doesn't quite work at this scale though and I'm pretty sure we would have seen a change at production time. So there's Spock... 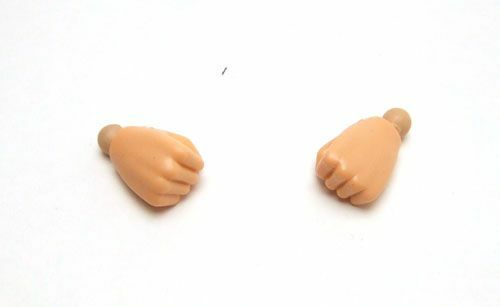 Shed a tear for what might have been... Maybe one day DST can pick these molds up and do the manufacturing on these? Yeah, it's a pipe dream.